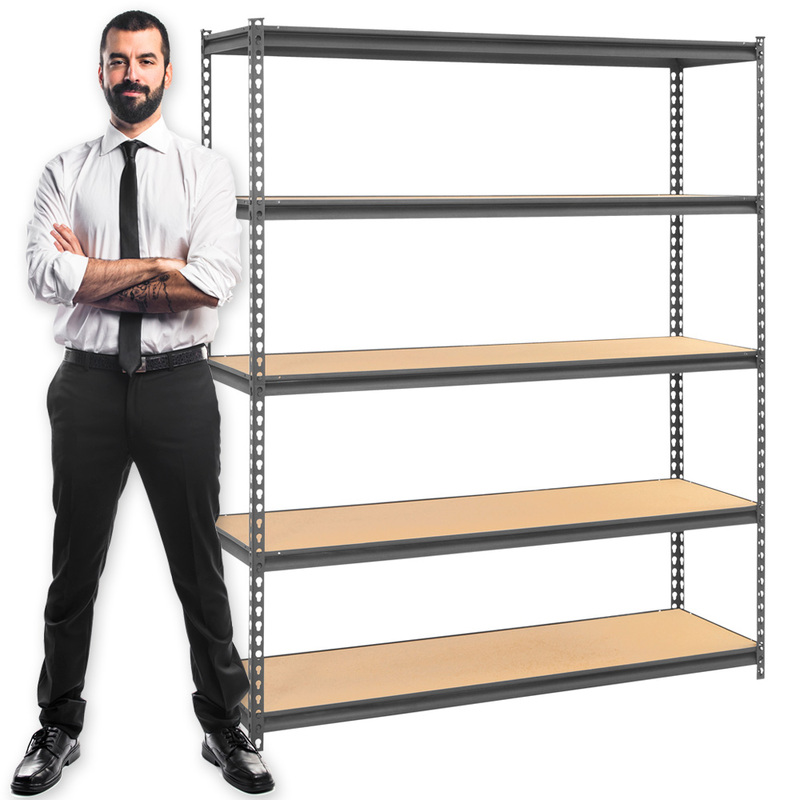 Wholesale Storage Racks for your store! Heavy-duty 16-gauge steel construction provides optimal weight capacity! Boltless design provides extra strength and quick and easy assembly. Each shelf supports 600 - 1800 lbs. based on evenly distributed loads. Double riveted beams lock into heavy-duty corner post to form a structurally secure unit. Includes 5 particleboard shelves that adjust easily on 1 1/2 in. centers. Convenient access from all four sides. Please allow 3 weeks for shipping.